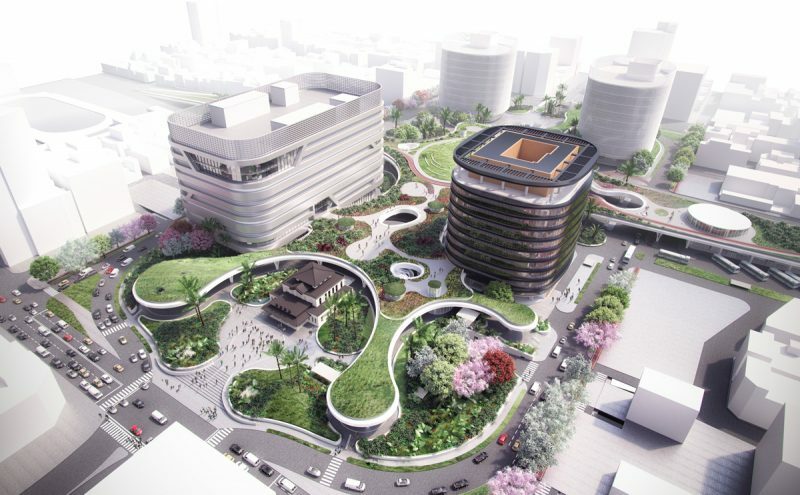 Kaohsiung Station by Mecanoo Archi-new - Free Dwg file Blocks Cad autocad architecture. Archi-new 3D Dwg - Free Dwg file Blocks Cad autocad architecture. With its organic, curvilinearshape and landscaped canopy, the new Kaohsiung Station will introduce a generous amount of public green space to Taiwan’s second city. 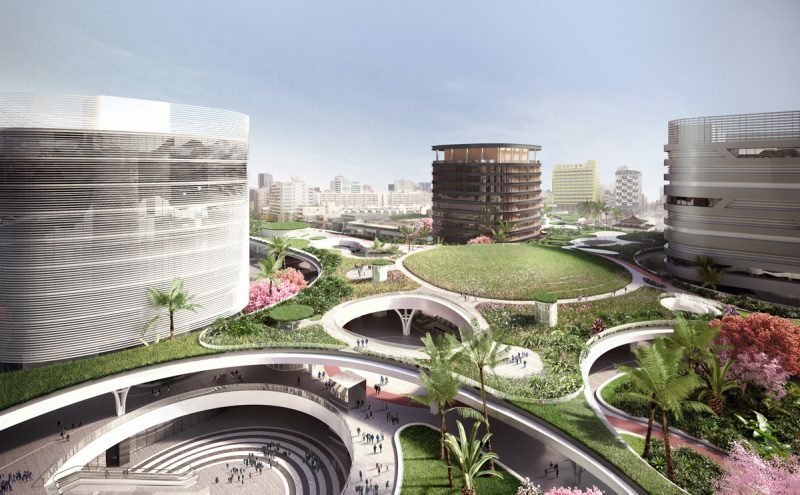 Designed by Netherlands-based Mecanoo architecten, the station reaches out to the city in a powerful gesture, acting as a green connector that unifies different modes of transport, and represents Kaohsiung’s vision for the future as a sustainable city. 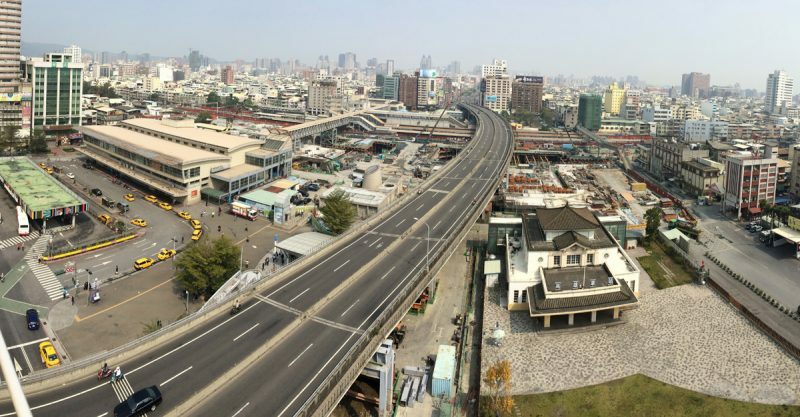 The new Kaohsiung Station is the crowning achievement of the massive Kaohsiung Metropolitan Area Underground Railway Project, which includes seven subterranean stations along a 9.75 km railway tunnel. It will be a true transportation hub integrating train, metro, local and intercity bus services, taxi and bicycle. 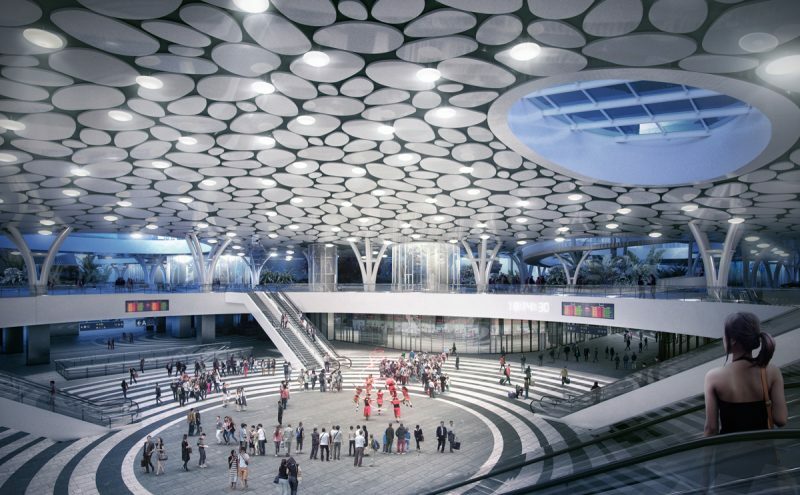 As a key project for the city’s transformation, Mecanoo designed an above-ground station that adds valuable public green space and activates the local community. As a main arrival point for travellers, the station sets a new stage for the city’s spirit, values and identity. Arriving from the underground train and metro platforms, Kaohsiung Station’s central hall is a sunken plaza that unfolds underneath a bright ceiling of oval-shaped lights. 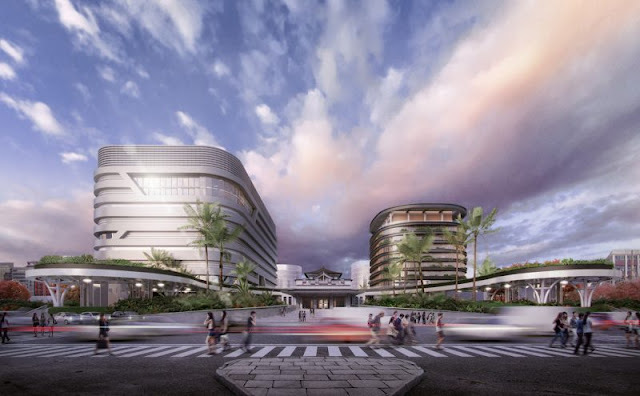 The station’s canopy connects a hotel, commercial building, shops, restaurants and other facilities for the local community and travellers. Atop the multi-layered landscape is a cycling path running east west. The colonial Japanese station building, which will be relocated to its original site, is embraced by the canopy and symbolically reconnects the old and new Kaohsiung. “The most important events in Taiwanese villages take place on the main square in front of the temple, lit with traditional red lanterns. 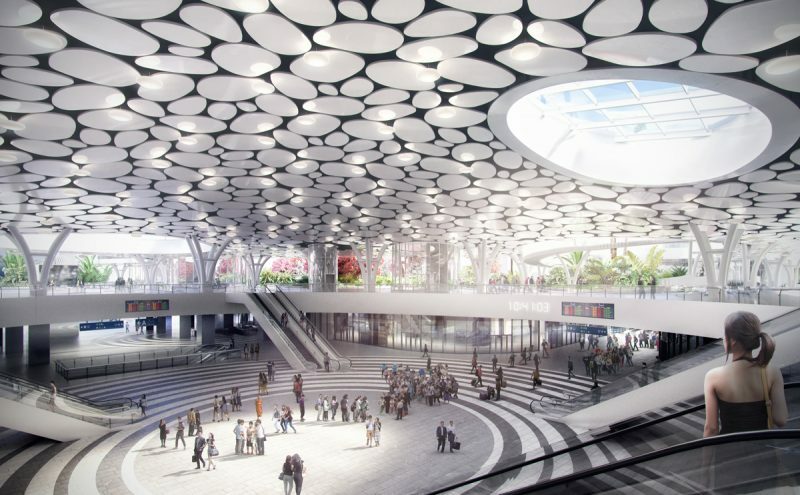 The central hall has been designed as a contemporary equivalent of this, creating a memorable experience for travellers. 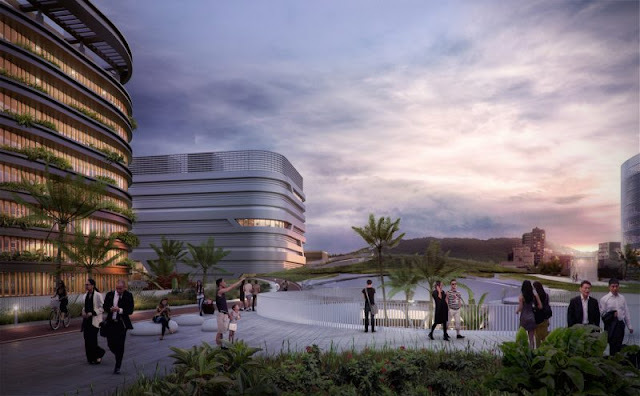 The project will occupy a 8.5 ha site and include a 13,000 m2 sunken station plaza, 35,000 m2 green canopy, 22,000 m2 hotel, 52,000 m2 commercial building, and 60,000 m2 landscape design.